Diva Electric Thermostatic Chrome Finish CURVED Towel Rails (1200x500 )from REINA DESIGN adds excitement to the world of heating. Sleek, Stylish and Sophisticated, these three words best describes this product. They are elegant, classy and functional at the same time.The glossy look and its design are most suitable for contemporary interiors. 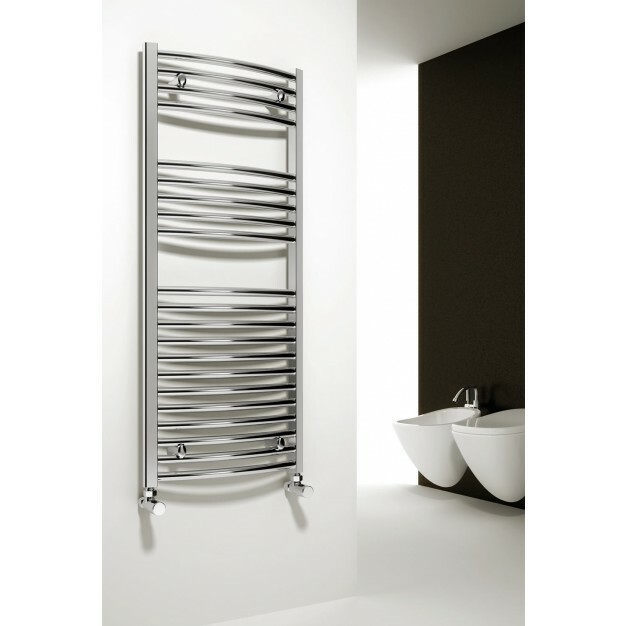 Manufactured from high grade steel, these Towel Rails are perfect work of art; painstakingly hand crafted by skilled craftsmen. Stunning seamless glossy chrome finish gives best match and can transform your interiors. This product range is also available in other finishes. This product comes with a 5 year guarantee against any manufacturing defects.